This is the next part to arrive for my iPhone project. 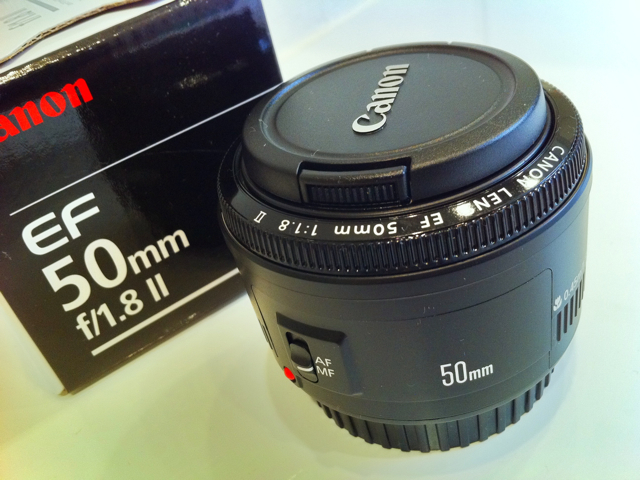 It’s a Canon EF 50mm f/1.8 lens. Short, compact, and proven in the field, it’s the lens most recommended for the iPhone. Now I wait for a couple more pieces and we’ll see what happens. Friend I got a same lens with u, and ar u waiting for the EnCinema adapter? U will regret, mail me n I will mail u the photo while I mount up all my stuff and after it took the photo.